The Duncan Connection — CascadiaNow! Providing free or at a reduced cost for fitness classes, resources to holistic wellness, and water safety education for all ages regardless of monetary background, culture, or gender identity. Connecting one's mind, body, and spirit into the best version of self through water safety, physical fitness, and holistic wellness. The Duncan Connection (TDC) believes it's a human right to have access to holistic resources, fitness classes, water safety education for free or at a reduced cost. 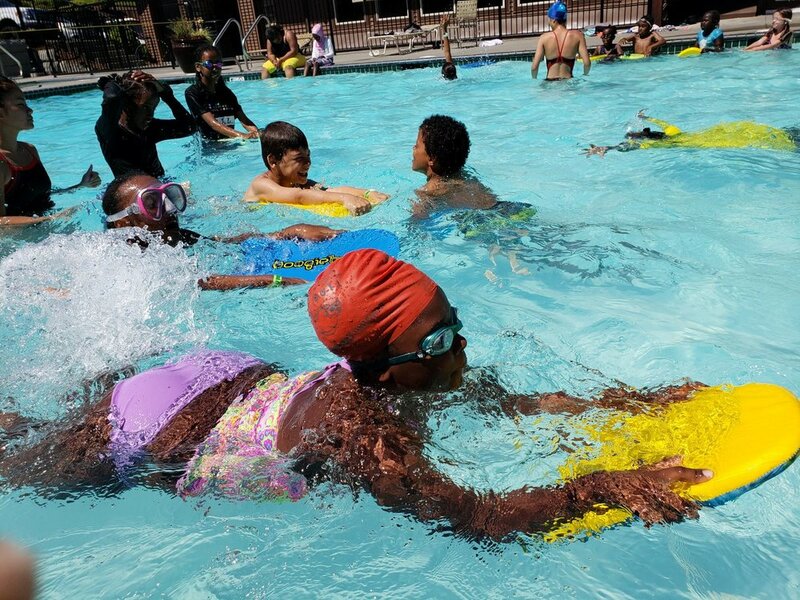 TDC provides water safety chats for the private and public schools, partner with local organizations for summer swim lessons, and gives information of employment within Aquatics for teens/young adults. TDC hosts a variety of outdoor and indoor classes for all ages and abilities. Some classes will be adult-centered and child-friendly, check out our event page. TDC shares weekly holistic tips, community workshop, and resources within the Seattle area that support holistic resolutions. "Welcome to The Duncan Connection! Where we believe it's our human right to have access to holistic resources, fitness classes, and water safety education for free or at a reduced cost. Why does this matter? Because I'm living proof of the benefits of living an active and holistic lifestyle. As a kid, I’ve always had a connection to water. At 6 years old I began my journey as a competitive swimmer due to a near death experience at 3 years old. Swimming taught me how important it is to take care of yourself as a whole. The mind, the body, and the spirit. The Duncan Connection focuses on meeting every participant where they are currently. From there the seed of self-investment, community, and social responsibility begins to grow. Now, imagine how much confidence, leadership, and direction that gives an individual."